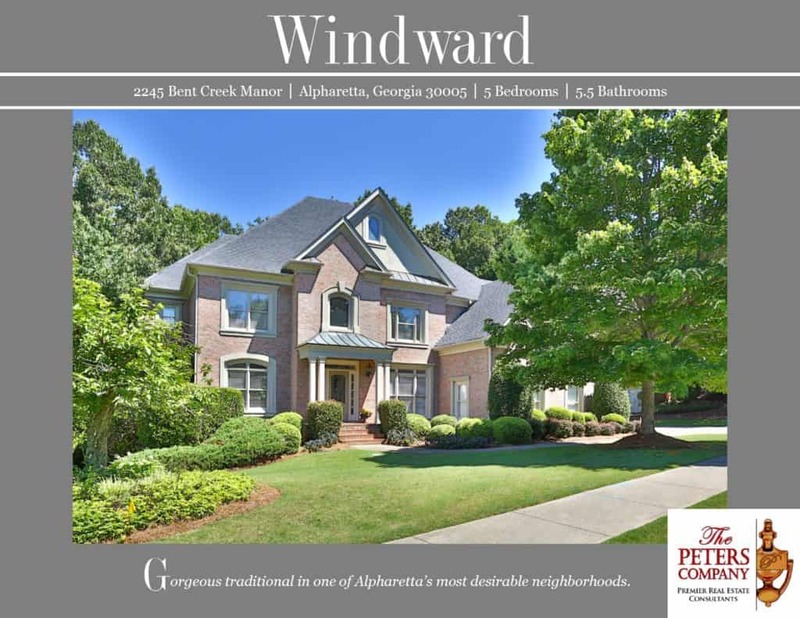 Just Listed :: Gorgeous Traditional in Alpharetta's Windward! A great place to call home! Nestled on a quiet cul-de-sac street in the popular Windward Community, this Executive home offers three levels of living at its finest. The open floor plan, custom features, and charming character will never go out of style. You will love being close to everything with easy access to the highways, byways, shopping, and restaurants surrounding this incredibly desirable community. Highly sought after area schools include Creek View Elementary, Webb Bridge Middle, and Alpharetta High! Amazing amenities includes The Windward Lake Club with swimming, tennis, and lake/marina access as well as Golf Club of Georgia which is perfect for golf enthusiasts. · Greeted by a two story foyer and gleaming hardwood floors, this home is inviting and open. · No detail was missed in the gourmet kitchen which features granite countertops, an oversized peninsula with breakfast bar, walk-in pantry, breakfast room, and office nook. · The formal dining room is perfect for entertaining guests and can accommodate furniture of any size. · The spacious family room is complete with a soaring ceiling, built-in bookcases, gas fireplace, and a wall of windows that natural light pours through. · The formal living room would be perfect as a home office or study and provides additional living space. · A bedroom and full bathroom on the main level are ideal for guests. · The luxurious master suite is a true retreat including a multi-tiered trey ceiling, sitting area, and cozy fireplace. · The spa-like master bathroom features dual vanities, jetted tub, separate shower, and oversized walk-in closet. · Additional upstairs bedrooms are well-sized and bright with attached bathrooms. · The finished terrace level features additional living space with built-in bookcases, bonus room, full bathroom, and an unfinished area that provides tons of storage. · A three car garage easily fits your vehicles along with providing extra storage space. · A large deck and patio lead out to the wonderful backyard overlooking the 18th Fairway. ← Is Atlanta A Fit City?